Klaksviks sublime location has become its weakest link. Present day Klaksvik is a spatially divided town. Ironically it is precisely the spectacular estuary location, and the way it is occupied, that causes this separation. Both the bay and the central isthmus act as barriers that split the town into two linear settlements with little connection to the water. 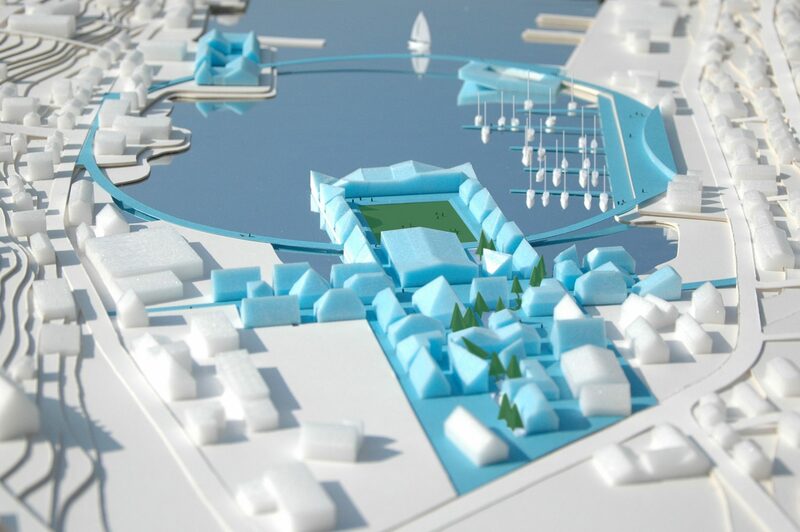 Our proposal, Klaksvik United, aims at creating a new town center that unites Klaksvik with itself and its waterfront. Two strong forms, a ring and cross, are used to transform the open water and the empty center from barriers into connectors and from non-places into places. 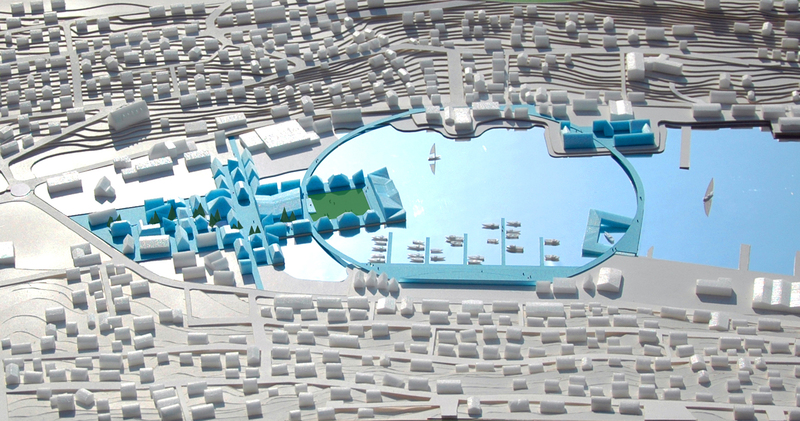 They function as fixed armatures for flexible city center developments. 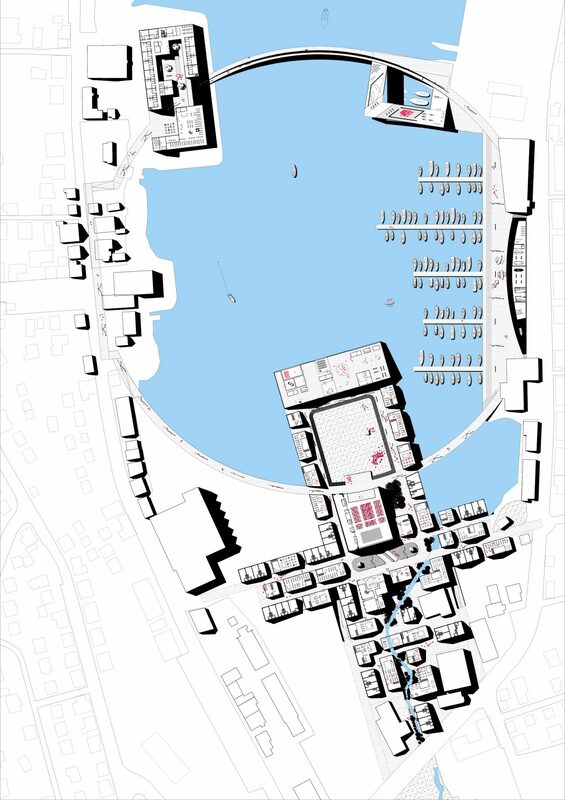 Their unifying gesture opposes ánd incorporates the urban fragmentation of the site and creates multiple links between east and west, north and south, water and land, old and new. The new center makes Klaksvik into one and celebrates its unique location. 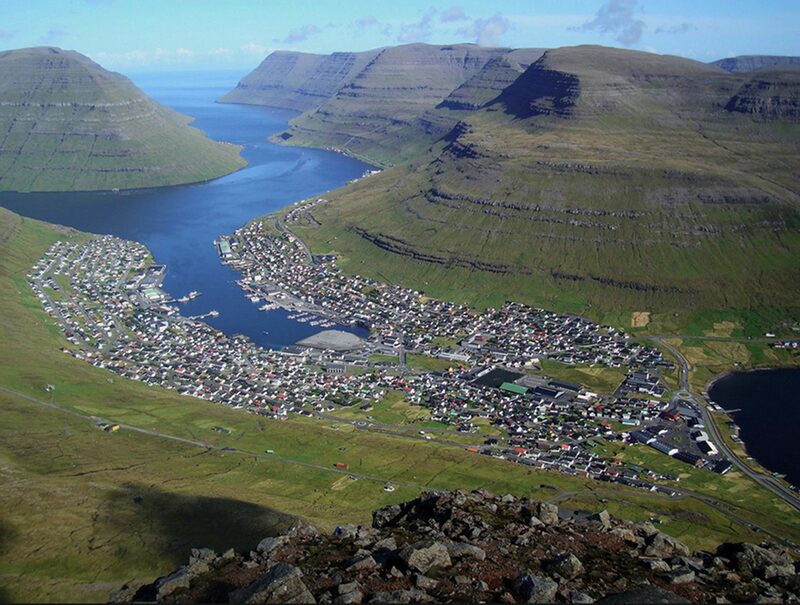 The Ring reinforces Klaksvik’s relation to the sea by connecting both parts of the town an uniting them with the water. 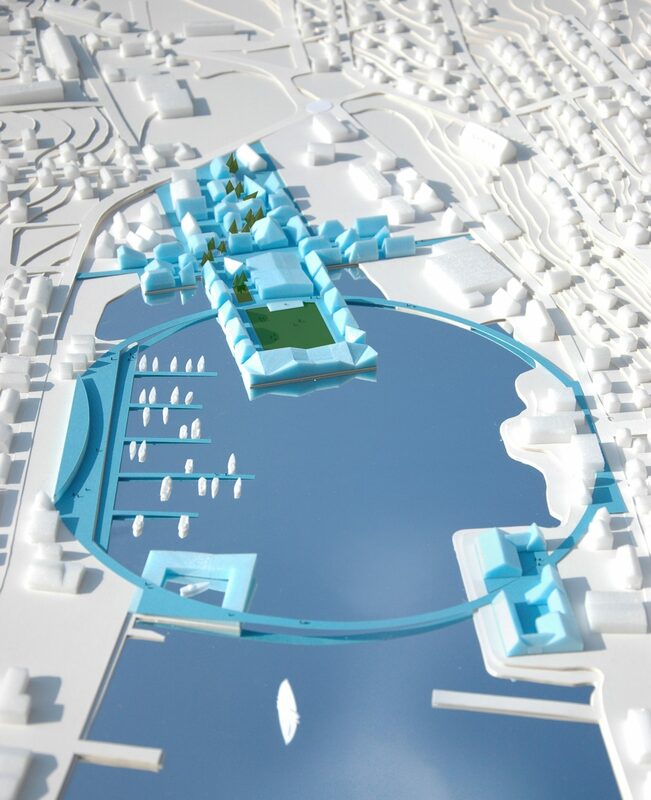 It functions as a pedestrian boardwalk of exactly one kilometer long that links a variety of waterfront programs, both new and existing and defines a new water square. In a mere 10 minutes walk one can experience the vital role that the sea plays for Klaksvik. 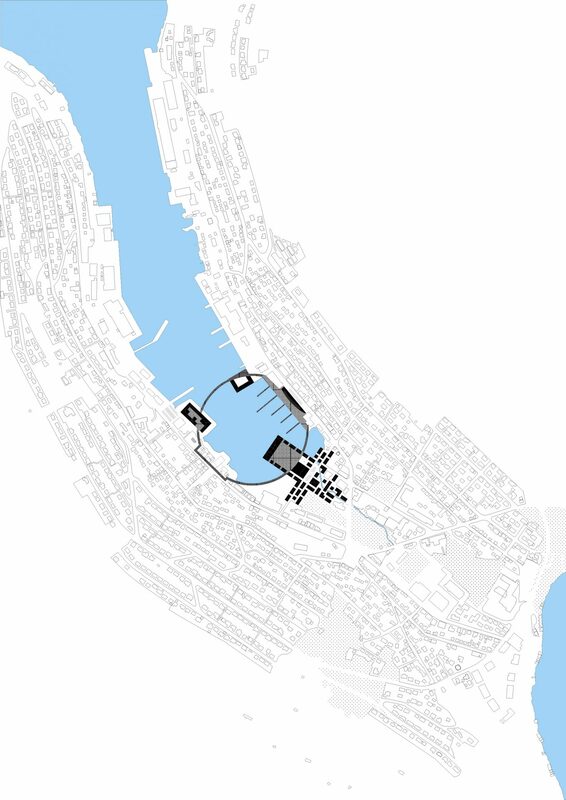 The ring connects the outdoor event area of the new cross with the existing marina, the ferryboat terminal, the second landfill and the existing shopping street on the south bank. The ring transforms the bay experience into Klaksvik’s main asset. 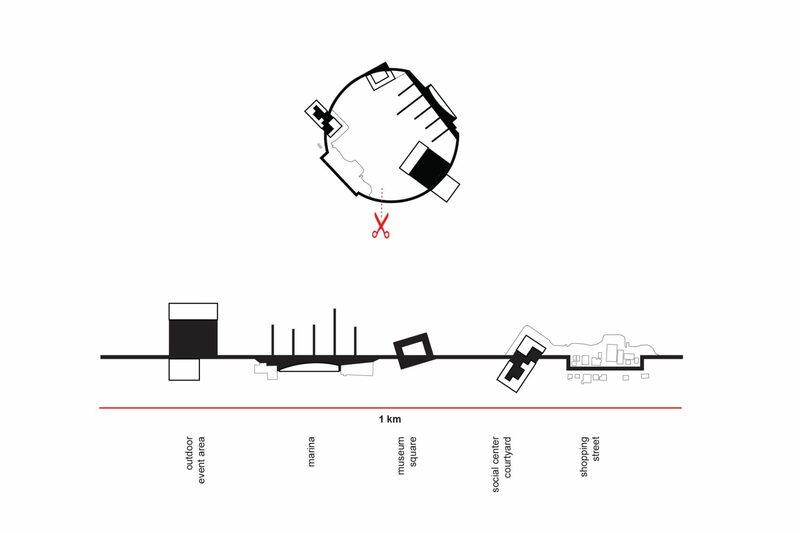 The Cross, consisting of various spatial typologies designed to minimize the disturbing winds, establishes two crucial connections. Main street runs from North to South and connects the separated halves of Klaksvik. Its mixed use program of retail, services and housing creates a lively street that forms the backbone of the cross development. 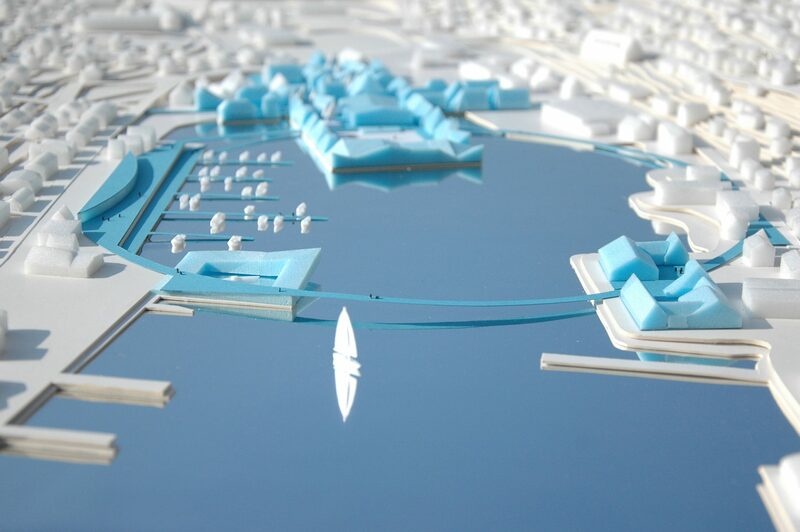 In the other direction, a central square with public facilities and a wind free labyrinth neighboorhood connect the green isthmus with the bay and reestablish the relation of the old center of Klaksvik with the water. The central square is surrounden with a multifunctional event hall, the administration building and the tourist information, which protect it against the wind and use it to program cultural outdoor festivities, year round. The intimate and wind free labyrinth invites for strolls along its shops. Existing buildings are integrated in a compact urban tissue. The small block size allows for a flexible infill with a variety of retail and leisure programs combined with housing.